India is one of the most vulnerable Asian economies should another round of "taper tantrum" — a wave of selloffs — occurs, said Santitarn Sathirathai, Credit Suisse's head of emerging Asia economics. The huge inflows into India's bond and stock markets mean a reversal is also likely to happen when there's a spike in U.S. yields, said Sathirathai. India has emerged as one of the Asian economies most vulnerable in an environment of rising interest rates in the U.S., according to Credit Suisse. Higher interest rates stateside could trigger capital outflows from emerging economies as investors search for better yields in the U.S. The Federal Reserve on Wednesday raised rates by another 25 basis points, and the Swiss banking giant is expecting three more hikes this year. India is one country that would lose out in the event of a capital flight, Santitarn Sathirathai, the bank's head of emerging Asia economics, said ahead of the latest Fed rate increase. "In the last 12, 15 months, India has seen a lot of inflows into the bond market, as well as the equity market. That means that the potential reversal if there's a shock is also quite high," Sathirathai said at the Credit Suisse Asia Investment Conference. India was one of the Asian economies that were badly hit by a wave of selloffs in 2013 — called the "taper tantrum" — after the Fed suggested it would start tightening monetary conditions. While much of Asia has since built up buffers to better withstand such capital flights, India's current account balance has continued to deteriorate, noted Sathirathai. India, the third-largest economy in Asia, last month announced a budget with massive spending that would result in a fiscal deficit of 3.3 percent of GDP — wider than the recommended 3 percent in the country's fiscal consolidation road map. "Broad-based trade war is not our base case," said Sathirathai. "What's more likely is the taper tantrum in 2013 and when we look at countries with current account deficits, India, Philippines and maybe Indonesialook vulnerable." China’s foreign policy with India has oscillated between a ballistic approach and studied indifference. India’s approach, meanwhile, has recently flipped from a hardline to a conciliatory approach, confusing observers. 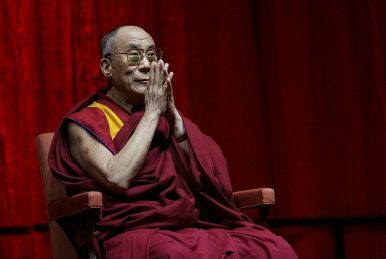 At the heart of India-China tensions is the dispute over territory in the Aksai Chin area, and Tawang in the Indian state of Arunachal Pradesh, which China claims as a part of southern Tibet. Both countries have so far held 20 rounds of talks to settle the disputes, but, unfortunately, an acceptable solution has eluded them. To the credit of both sides, they have not allowed the situation to go out of control. 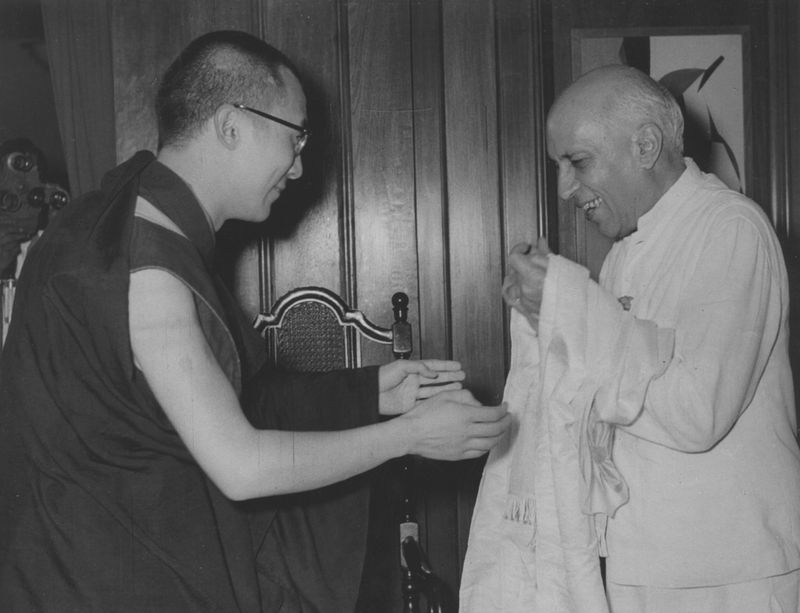 A circular of the Cabinet Secretary asking Indian ministers and officials not to attend a function for the Dalai Lama in Delhi, has been in the news. While the controversy (and the MEA's kowtowing to China) continues to rage, it is interesting to look at the transcript of a talk between the Dalai Lama and Jawaharlal Nehru, the Prime Minister on India. The encounter took place on April 16, 1961. Will technology be able to disrupt the legal industry? We rarely see disruption coming. Most businesses function under the belief that the infrastructure that supports their operations is so difficult to replicate that its very existence is a barrier against competition. Retail stores relied on the friction inherent in developing supply chains to keep them safe from challengers. Travel businesses took comfort in the fact that the effort involved in replicating their large fleets of taxis would keep them ahead of new entrants looking to displace them. Newspapers saw the distribution networks that they had built to get the news to our doorsteps as the moat that no competitors could cross. 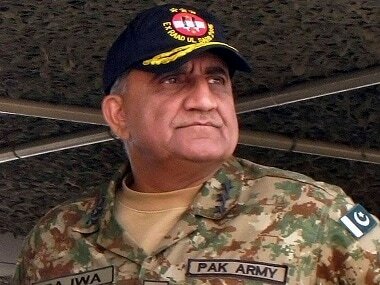 Pakistan's generals, particularly General Qamar Javed Bajwa, think their country has done more than enough to secure neighbouring Afghanistan and is not intimidated by the threat of US funding cuts, according to an analysis entitled 'The Bajwa Doctrine', published by the Royal United Services Institute (RUSI), a leading British think-tank. In the document, Pakistan's generals spell out their vision for the future of US-Pakistan military relations under the administration of President Donald Trump. 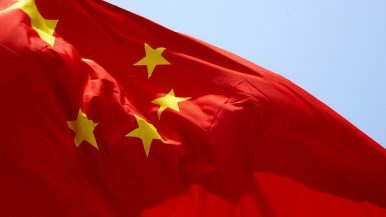 China’s diplomacy has emerged as a stronger player from this year’s National People’s Congress (NPC). China comes out of this NPC with at least five high-ranking officials in charge of the country’s foreign policy. The once sidelined Ministry of Foreign Affairs (MFA) has received a substantial boost through a budget increase, leadership changes, and rumored structural reforms. And a newly created State International Development Cooperation Agency (国家国际发展合作署) will now be in charge of coordinating China’s growing budget for foreign aid. The narrative of the Belt and Road Initiative (BRI) as spanning over 65 countries and gathering 62 percent of the world population, 31 percent of its GDP, and 40 percent of global land area should once and for all disappear now that China has announced the extension of the BRI to Latin America. Ever since Xi Jinping put forward China’s attempt to recreate the old Silk Road in 2013, observers have considered the Belt and Road Initiative (BRI) to be a project spanning Asia, Europe, and Africa, encompassing around 65 countries that have signed up for it. The two corridors that form the BRI, the Silk Road Economic Belt (the Belt) and the 21st Century Maritime Silk Road (the Road), were perceived as two routes that will stretch over Eurasia or the maritime rimland, respectively, to link China with Europe. The Indian Ocean region is experiencing a fondly anticipated luxury. Almost every one of the economies of the region is expanding at a rate that gives hope to the entire region, especially to its poor and marginalised. The promise of prosperity enthusiastically proclaimed at independence from colonial rule, so many decades ago, may at last become a reality. India is powering ahead with an anticipated growth rate of 7.3% and now is ahead of China. Still the South Asian region continues to be confronted by an inexcusably massive burden of poverty, literacy deficits, malnutrition and deprivation. South Asia has the dubious distinction of being home to the largest concentration of the poor in the world. Inadequate policy frameworks, corruption, military rivalries and internal conflicts, among others, drain resources which could be devoted to economic advancement. Some internal conflicts are funded from the outside. For over two millennia, technology and politics have shaped trade across the Eurasian supercontinent. The compass and domesticated camels helped the “silk routes” emerge between 200 and 400 CE, and peaceful interactions between the Han and Hellenic empires allowed overland trade to flourish. A major shift occurred in the late fifteenth century, when the invention of large ocean-going vessels and new navigation methods made maritime trade more competitive. Mercantilism and competition among Europe’s colonial powers helped pull commerce to the coastlines. Since then, commerce between Asia and Europe has traveled primarily by sea. When I was 12, Saddam Hussein, vice president of Iraq at the time, carried out a huge purge and officially usurped total power. I was living in Baghdad then, and I developed an intuitive, visceral hatred of the dictator early on. That feeling only intensified and matured as I did. In the late 1990s, I wrote my first novel, “I’jaam: An Iraqi Rhapsody,” about daily life under Saddam’s authoritarian regime. Furat, the narrator, was a young college student studying English literature at Baghdad University, as I had. He ends up in prison for cracking a joke about the dictator. 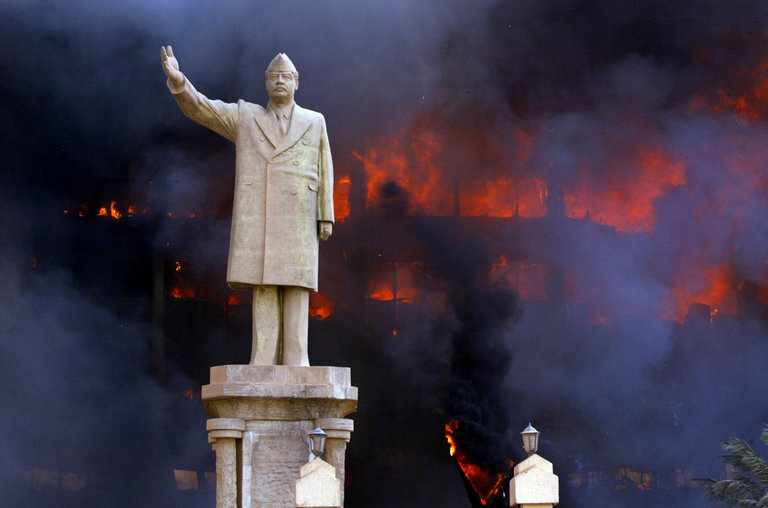 Furat hallucinates and imagines Saddam’s fall, just as I often did. I hoped I would witness that moment, whether in Iraq or from afar. The de facto ruler of the Kingdom of Saudi Arabia, known as MbS, has been busy wreaking havoc internationally, punishing political enemies domestically, loosening social controls at home, and burnishing his image abroad. Amid rising opposition to Saudi-generated carnage in Yemen, the Trump administration appears to be abandoning proliferation concerns in seeking to sell nuclear reactors—even as it complains about Iran’s presumed nuclear ambitions. When a military operation supported by Turkey was launched against the city of Afrin, it hardly came as a surprise. The city, whose inhabitants are mostly Kurdish, is also a major base of the People's Protection Units (YPG), a military organization which received considerable support from America, as well as from Russia, in the fight against IS. The YPG led the fight against IS in Raqqa and northern Syria, while at the same time attempting to mark out areas for self-rule, to be controlled and run by the organization. Multiple Turkish statements to the press had alluded to such an operation, and in mid-January it began in earnest in cooperation with the Free Syrian Army (FSA) which is based in the area around the Euphrates Shield under Turkish control. Intelligence minister says attack is a ‘clear message’ to Iran it won’t allow its enemies to acquire nuclear weapons. Israel’s military has gone public for the first time to confirm a 2007 airstrike on a suspected Syrian nuclear reactor, announcing details of a night-time attack its intelligence minister said provides a clear warning to Iran. In a secret operation that has been extensively speculated on for a decade, Israelsaid it sent four F-16 fighters hundreds of miles into Syria on 6 September 2007, to bomb the partially completed al-Kubar facility near Deir ez-Zor. Current U.S. policy toward Lebanon confirms Voltaire’s observation that “the human brain is a complex organ with the wonderful power of enabling man to find reasons for continuing to believe whatever it is that he wants to believe.” Our Lebanese strategy of providing training and advanced military aid to the Lebanese Armed Forces (LAF) is based on the fallacy that it will promote stability and prevent Hezbollah from taking over the country. News flash: That takeover has occurred. Lebanon already is Hezbollah country and a wholly-owned Iranian subsidiary. We are fighting yesterday’s war. Paradoxically, America is essentially arming Hezbollah, an Iranian proxy and U.S.-declared terrorist group. We need to re-examine our incoherent foreign policy. The quotation in the title comes from the Russian Foreign Ministry, brushing off UK demands for an explanation of why Russia poisoned Sergei Skripal. That the Russians said this is a good sign that they have not entirely forgotten the risks of attacking the United States. Before yielding to panic because Russia has been probing the computer networks of U.S. critical infrastructure, remember that Russia has probed critical infrastructure many times in the last five years. What is different this time is that the United States has been much more forthright in its public identification of Russia as the culprit. Russia has had the capability to destroy critical infrastructure for decades. Russia has been able to launch a nuclear attack that would destroy American infrastructure since the 1960s. In the 1970s, it planted caches of weapons and explosives in the United States to let its agents undertake sabotage operations in the event of war. Now, groups of Russian agents have entered the country for other purposes and could easily undertake an attack. It is possible that new technologies are not just doing less to boost productivity than past innovations. They may actually have negative side effects that undermine productivity growth, and that reduce our wellbeing in other ways as well. CAMBRIDGE – In recent years, productivity growth in developed economies has been stagnating. The most prominent explanations of this trend involve technology. Technological progress is supposed to increase economies’ productivity and potential growth. So what’s going on? 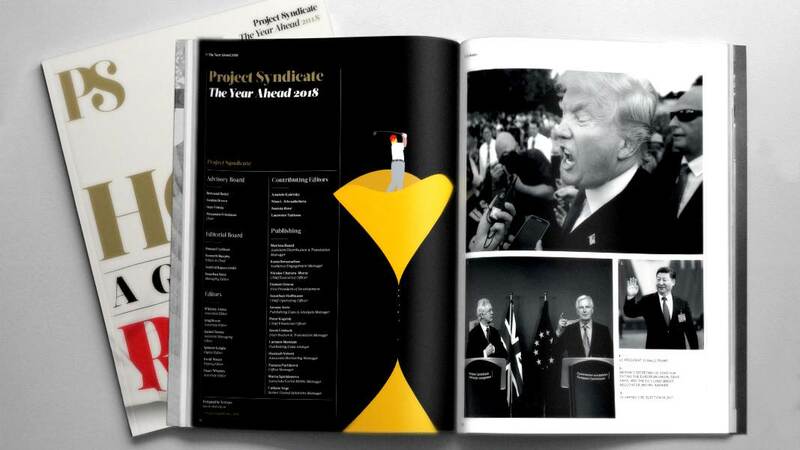 The world’s leading thinkers and policymakers examine what’s come apart in the past year, and anticipate what will define the year ahead. The following information was produced and originally published by Threat Lens, Stratfor's unique protective intelligence product. Designed with corporate security leaders in mind, Threat Lens enables industry professionals to anticipate, identify, measure and mitigate emerging threats to people and assets around the world. WASHINGTON — A highly anticipated “state of the defense industrial base” report is due to be completed in April. The study, requested by President Trump in a July executive order, will look at the nation’s manufacturing and supply sources. For the space-focused part of the review, the Pentagon has been working with NASA, the Federal Aviation Administration and the National Reconnaissance Office, said Brennan Hogan Grignon, director of industry outreach for the secretary of defense. ‘Make no mistake: 2016 will never happen again.” Historians are not always reliable predictors of the future, but Niall Ferguson’s analysis of how Silicon Valley and the center-Left would react to the successive and surprise victories of Brexit and Donald Trump is proving correct. Conservatives and populists will not be allowed to use the same tools as Democrats and liberals again, or at least not use them effectively. 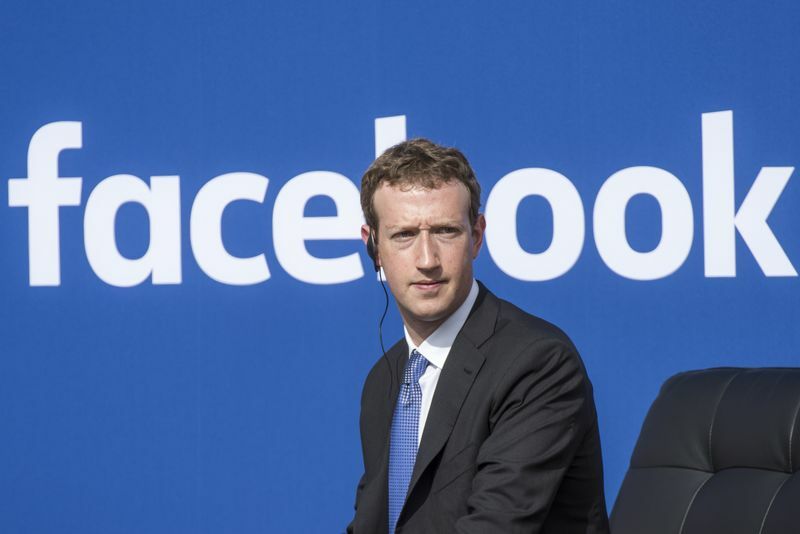 Facebook is being hammered for allowing the data firm Cambridge Analytica to acquire 50 million user profiles in the U.S., which it may or may not have used 1 to help the Trump campaign. But the outrage misses the target: There's nothing Cambridge Analytica could have done that Facebook itself doesn't offer political clients. Here, in a nutshell, is the CA scandal. In 2014, Aleksandr Kogan, an academic of Russian origin at Cambridge University in the U.K., built a Facebook app that paid hundreds of thousands of users to take a psychological test. Apart from their test results, the users also shared the data of their Facebook friends with the app. Kogan sold the resulting database to CA, which Facebook considers a violation of its policies: The app was not allowed to use the data for commercial purposes. Carol Cadwalladr and Emma Graham-Harrison, writing for the U.K. publication Observer, quoted former CA employee Christopher Wylie as saying the firm "broke Facebook" on behalf of Stephen Bannon, the ideologue and manager behind the Trump campaign. “To expect states of any sort to rest reliably at peace in a condition of anarchy would require the uniform and enduring perfection of all of them” (Waltz, 2001, pg. 9). War and conflict has been as much a constant in human history as humans. As Kenneth Waltz states, “there is no peace in a condition of anarchy,” and there will always be a form of anarchy as long as human nature is a variable in our complex domestic and international systems. Many scholars have analyzed the causes of war on a state-by-state-basis, other writers believe that it is possible to provide a wider, more generalized explanation (Baylis et al, 2017, pg. 239). Additionally, many well-known international relations theorists have applied forms of theoretical framework to understand how and why we create friction in our societies, focusing on a variety of aspects, from international institutions to gender. For neorealist writers such as John Mearsheimer, international politics is not characterized by these constant wars, but nevertheless a relentless security competition, as we will discuss in this essay (Baylis et al, 2017, pg. 242). Have you heard people talking about machine learning but only have a fuzzy idea of what that means? Are you tired of nodding your way through conversations with co-workers? Let’s change that! This guide is for anyone who is curious about machine learning but has no idea where to start. I imagine there are a lot of people who tried reading the wikipedia article, got frustrated and gave up wishing someone would just give them a high-level explanation. That’s what this is. The goal is be accessible to anyone — which means that there’s a lot of generalizations. But who cares? If this gets anyone more interested in ML, then mission accomplished. WASHINGTON — The platoon of Army Special Operations soldiers was on a routine night patrol in eastern Afghanistan when one of them suddenly opened fire on what looked to the others to be a bush. The bush, it turned out, had been obscuring a militant fighter. He was detectable only to the one platoon member wearing prototype night vision goggles that could detect heat signatures — a happenstance that Army officials say probably saved many lives. That incident took place in 2015. 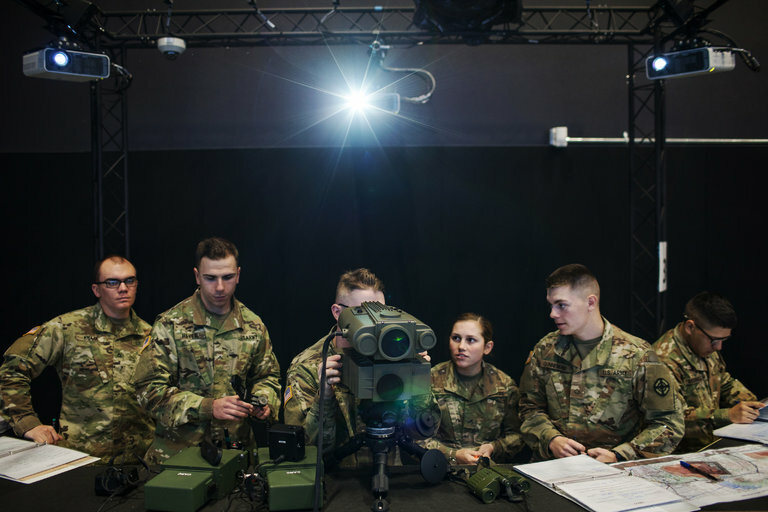 Three years later, soldiers in the field still do not have the new night vision goggles, and that is just one example of a process that can take a decade to get new weapons from the lab to the hands of troops. Worried about that lag, the Army is creating a new and decidedly unconventional department to address it: the Futures Command.